Christmas has always been a huge deal for me. Growing up my family really made the holidays special, festive and family oriented. As an adult, I have such wonderful memories of the holidays and I want the same for the Lil Divas. I am always trying to find ways to make the holiday season fun for them through crafts and activities that we can do together. You've surely heard the phrase "deck the halls" but have you heard of "Pin the Halls"? I am so excited to be participating in the Pin the Halls program by HP and Snapfish. Thanks to this program our holidays are filled with some awesome new products that are allowing us to do some amazing things. Plus, one lucky reader has the chance to win an amazing Toy Chest of items including the HP ENVY 120 e-All-in-One printer (RV $249.99), a $50 Snapfish Gift Code and a HP Holiday Value Pack. Keep reading for all the details. I am pretty psyched! 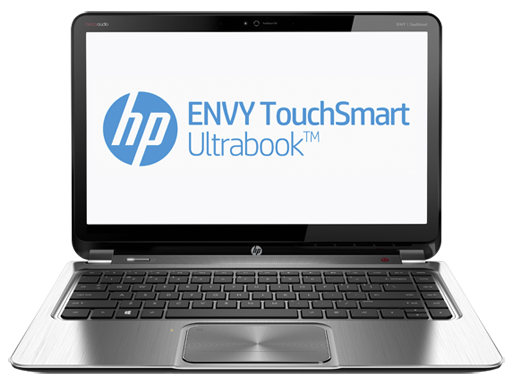 We received an HP ENVY TouchSmart Ultrabook x4 with Windows 8 PC. I am really impressed with all it's features and capabilities, especially that it's a touchscreen. How awesome is that? The Lil Divas love being able to tap things right on the screen. They have already started trying to take over the ultrabook since it's so user friendly and comes with features they love like Beats Audio to listen to all their favorite tunes and the HP TrueVision HD Cam to chat with our many faraway relatives. It's so nice to be able to connect with the family and friends we don't get to see often, especially during this time of year. I really wanted to take the girls up north to visit my family this year during the holidays but we simply couldn't make it happen. I am beyond grateful for technology like this that let's us see each other while we chat. It definitely makes the distance between us seem smaller when we can talk face to face, even if only via our computer screens. How do you keep in touch with distant family and friends? I'm excited about using our new ultra book to explore all the things I can create with the HP Holiday Value Pack we received. I have been exploring the HP Creative Studio and can't wait to start getting crafty. Every year I gift the grandparents some awesome photo gifts because what grandparents doesn't love gifts bearing the likeness of their favorite grandkids, right?! Seriously, it has become a tradition and they love it. I love making photo calendars for the gift that keeps giving all year long but I spied lots of fun DIY photo gifts that I want to try out. I'll be sharing what we create in an upcoming post so stay tuned. I even created a Pinterest board dedicated to fun Holiday Gift Ideas. Does your family love music? We sure do. The Lil Divas love to sing and dance above all things and it's truly the perfect time of year to crank up the volume on our favorite holiday tunes. We love to get our "Christmas Carol" on (yes, I do fully realize that is not an actual thing but you know that you know exactly what I mean, hehe). 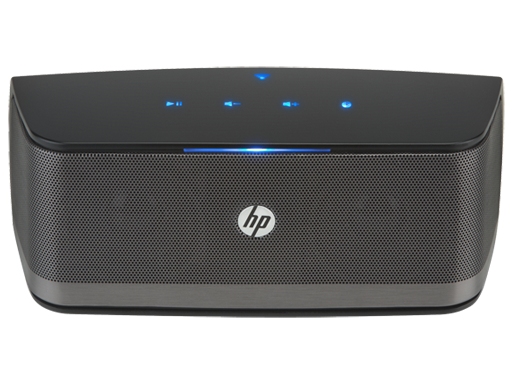 Nothing beats cranking up the volume on our favorite Holiday Pop songs on our new wireless HP Portable Bluetooth Speaker while we dance and sing along to the top of our lungs. Wouldn't you like to be a fly on our wall during our daily performances? It will be wonderful to be able to stream holiday music or even movies through the slim & sleek speaker during our holiday get togethers without drawing a lot of unnecessary attention to the speaker. The Lil Divas love using the speaker to play the music from their iPod. We have had lots of "extra" performances from them lately. I am so excited to be able to share some of this holiday cheer with you with an exciting HP and Snapfish Giveaway. Seriously, it's a good one and I am a tad jealous of the printer we are giving away because I want one too! Here's what the folks over at HP and Snapfish are letting us give away to one lucky Mom to 2 Posh Lil Divas reader - an HP ENVY 120 e-All-in-One printer (RV $249.99), a $50 Snapfish Gift Code and a HP Holiday Value Pack. 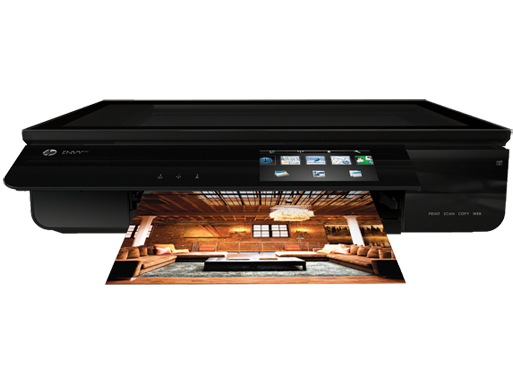 The HP ENVY 120 e-All-in-One printer offers you wireless connectivity and printing on the go. This printer lets you print right from your smartphone or tablet from virtually everywhere. You can even charge your USB compatible devices, access the web and scan straight to your email account. Can you see why I want one? This printer would certainly come in handy around here so we can print freely from our various devices. Santa, if you are reading this - the HP Envy 120 e-All-in-One Printer is topping my Christmas list and I've been really good this year. Along with the HP Envy 120 e-All-in-One Printer the giveaway winner will be able to use their $50 Snapfish Credit Code to create and personalize home decor or gift items that the whole family will enjoy like posters, canvas wraps, frames, calendars and have fun with the HP Envy 120 e-All-in-One Printer using the HP Holiday Value Pack. The HP Holiday Value Pack includes (10) 5x7 sheets of photo paper, (10) envelopes and a swatch book that contains project ideas to make high quality, low cost print creations at home. Enter to win all 3 of these items using the form below. Sweepstakes ends 1/4/13 at 11:59 EST. Open to US residents only. Please read Official Rules before entering sweepstakes. I love facebook so i can connect with friends and family during the holidays! I keep it personal and make sure I get a phone call in to each of my far away friends; even if it's only long enough to say hello. Facebook is the best thing invented for distant families. I have a family tree website where I post all my research. Many of my extended family members talk to me and most importantly, we talk about family! We use phone calls and video chat to stay in touch. We use lots of letters via the mail. I keep in touch using Skype, Facebook and the good old telephone! We stay in touch via Skype. I mostly stay in touch with Facebook, it makes it so easy to share with others. Also via phone, email, and facetime. We use the phone and skype! I call my sister daily! I also use Facebook a lot. We keep in touch with facetime and Skype with our family far away. We use facebook the most, and then we try to mail out Christmas cards and a newsletter every year. I'm old fashioned... I use the phone. During the holidays, we usually facebook, and send out Christmas cards! we call each other during the holidays or use skype to see each other on the internet. I like to send a card and give them a call. A lot of my family is on Facebook, so I share there too. We talk on facebook and we always send out Christmas cards. I use facebook to keep in touch with family. We email quite a bit. I keep in touch with faraway relatives and friends during the holiday season by cards and phone. we keep in touch with Facebook mostly. Being military, we have friends all over the world. we like to skype & email eachother! We always talk on the phone, but I also love to keep in touch thru facebook! Its so nice to see new pictures and what everone is doing! We live thousands of miles away from my family, so we stay in touch with Skype, Facebook and email! I keep in touch mostly with facebook, but I love sending Christmas cards too. We live in Florida and Skype with our family in Texas. I call them on the holidays, and I mail them cards! I keep in touch with family through phone/text, skype, facebook, email and postal mail. I skype family and friends all the time. So much better then the phone. And if they have facetime...I do that too.